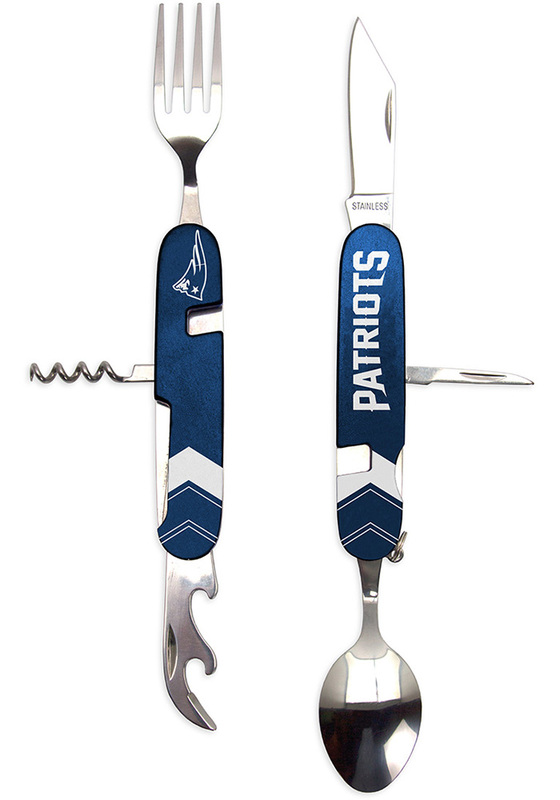 Every dedicated Patriots fan who loves to cook needs one of these New England Patriots Utensil Multi-Tool Other. This Other is a unique addition to any kitchen and features a an/bottle opener, standard knife, cork screw, punch, spoon, and fork. All pieces fold into a sturdy aluminum body which features dazzling team colors and logo.